County Down is also known as the Mourne county or Mourne men. This county has a formidable and well deserved reputation as one of the best Gaelic football counties in Ireland. 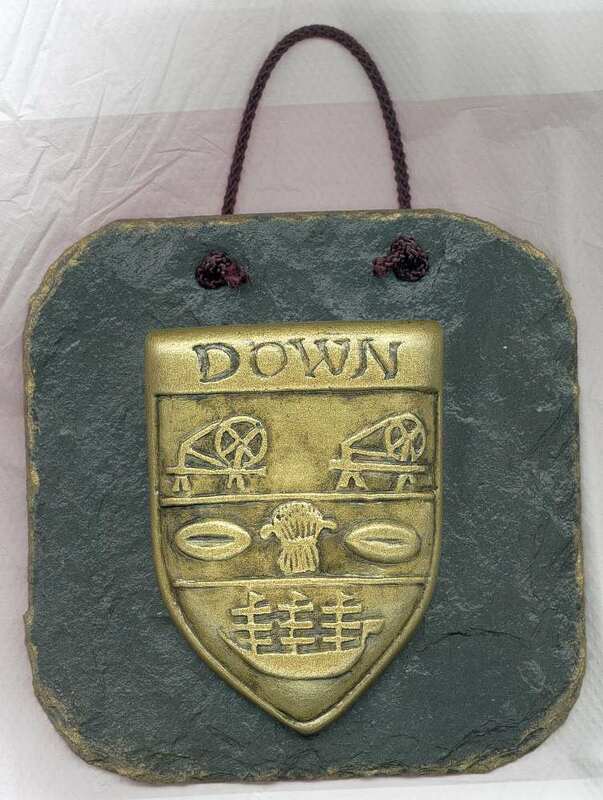 The Down crest symbolises the links with the linen industry and also celebrates its importance as a major shipping port in the Newry and Warrenpoint area. This plaque is coldcast in studio by Colm Mc Cann and then mounted onto a wall hanging slate plaque 125mm x 125mm in size. 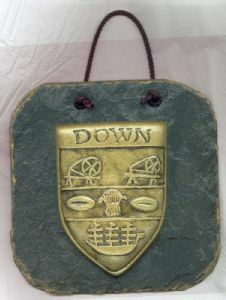 This plaque makes a great gift for anyone who had county Down ancestry.